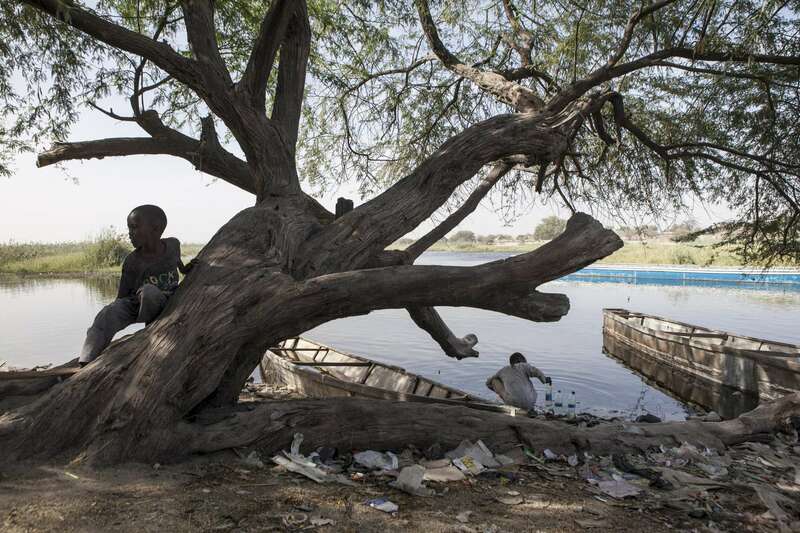 A boy fills bottles with water from Lake Chad in Baga Sola, Chad. Despite the fact that numerous wells have been installed in town, many people still use water from the lake despite contamination. Aid organizations are having to dig up to 300 meters to find ground water that most people find too salty to drink.